Exterior bricks adorn the outside of a building and can be used to create a wall, chimney, pathway, pillars, and more. As one of the strongest man-made materials, brick offers nearly endless options and is known to withstand the test of time. 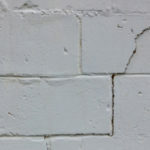 It takes many years before bricks start to look dirty or show signs of ageing. For these reasons and more, brick is a very popular building material for exterior, and interior, projects. Are you debating adding exterior brick to your residential or corporate location? Before you buy the first pretty bricks you find, there are a number of factors to keep in mind. Are All Exterior Bricks The Same? Not all bricks are created equal; some bricks are higher quality than others. The color of bricks can vary just as much as the quality. Bricks are made in such a way that their color is directly derived from the materials used to create them. For this reason, the coloring of bricks can vary wildly, granting each stack of bricks their own unique appearance and beauty. So how do you pick the best bricks for your next project? Here are 7 things to consider before purchasing exterior bricks. Bricks come in different sizes; do you want small or large bricks? Larger bricks offer a nice appearance. Plus, installation will take less time because it takes fewer bricks to fill up the puzzle. Local bricks may or may not be less expensive, but quality is more important than price when it comes to getting long-lasting bricks. Depending on where bricks are made, longevity will vary. For instance, clay in California is very hard, which means bricks from this state run pricier because they are more durable. 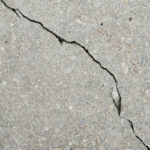 When bricks are made from less substantial clay materials, they are more prone to breaking down, as well as efflorescence, or the white lines that appear on bricks due to moisture exposure. If you look long and hard to find a very particular looking set of bricks, you will undoubtedly create an eye-catching wall or other exterior feature. Yet, down the line when a brick or two needs replacement due to mortar issues or water damage, it’s going to be very difficult, if not impossible, to match the bricks. Even plain bricks are hard to match; therefore, unique looking bricks can be a real struggle to replace. If you must have unique bricks, we suggest buying a few extra to store somewhere safely encased away from all elements, you’ll thank yourself one day! When adding brick with other building materials, such as stone, it’s best not to try and match the brick to the stone exactly. Otherwise, as a result the two might appear awkward side by side, almost alike but not at all. Instead, it’s usually safer to go for bricks that are different but still compliment surrounding stonework. You don’t have to keep all of your bricks the same color. Instead you can mix and match contrasting shades of brick for a unique look that pops. Bricks are known for their reddish hues, but brick shades can vary considerably. Take a look at all of your options and consider how each shade will look with the surrounding colors, including the building and natural landscapes. Exterior brick structures can be plain and ordinary, or they can include unique detailing that makes them stand out aesthetically. The trim on brick corners, or a special arch walkway made of bricks can add a truly special appeal to an otherwise ordinary property. Check the web for pictures, drive through neighborhoods you admire and take photos, no matter what it takes you want to collect out all of your options for detailing before making any final decisions. Considering it makes up 20% of any brick surface, mortar is an important element that will impact how your final project turns out. Different types and colors of mortar can change the whole look of exterior brick. Since mortar colors vary by large degrees, the mortar you select should be carefully considered to ensure it matches the bricks, and offers the look and style you are aiming for. 8. Is There A More Affordable Option? In your research you may find that other building materials offer a less expensive solution to bricks. Some of the oldest buildings still in existence today were crafted from bricks, the low maintenance, durable, and attractive qualities brick possesses make it very popular, and therefore pricier than vinyl, fiber cement, or manufactured stone. 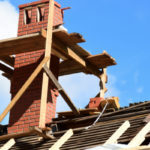 That doesn’t mean brick is the sure-fire right answer for your exterior project, for instance maybe you don’t need your brick wall to last forever. 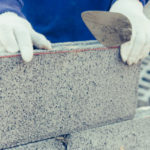 It’s important to shop around and know all of your options before deciding on brick (Read More). Talk to the pros at Turnbull Masonry to learn more about your options concerning exterior brick.